My nephew Zach and brother-in-law John rented some nice mountain bikes from Criterium for the day. 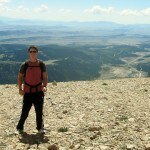 This was a repeat of a ride that Zach and I did in December 2011. Except at the end, instead of the Chutes trail, we took Gold Camp Road to its end and rode to downtown Colorado Springs. We had lunch at Jack Quinn Irish Pub, and rode home. 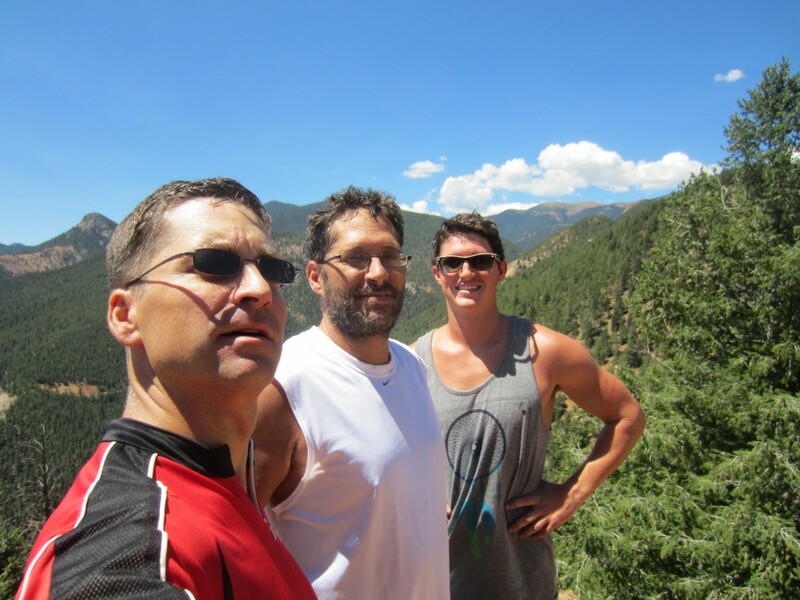 The day after hiking the Manitou Incline, Zach and I drove up to Park County to hike some fourteeners. Lois let us borrow her truck to get up there, since my Highlander was in the shop. Thanks, Lois! We parked at the Kite Lake parking lot ($3 fee to park). 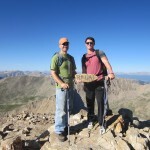 We started hiking at about 6:45 AM, with clear skies, first ascending Mt. Democrat, then Mt. Lincoln, then Mt. Bross. It was a very pleasant day for hiking at high altitude. The temperature was relatively cool, and remarkably there was no wind to speak of all day! Clouds started to form during the hike between Democrat and Lincoln. 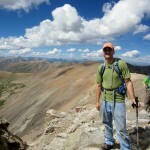 The clouds did not look too threatening, but we increased our pace in order to get off the summit of Mt. Bross before Noon. 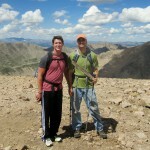 The summits of Mt. Democrat and Mt. Lincoln were pretty crowded with other hikers lingering for photos and rest. Everyone was friendly and polite, but it is still kind of annoying to be on the summit with so many people. The trail itself was less crowded because everyone tends to spread out and walk at their own pace. This was a Thursday; I imagine that a weekend would find these summits even more crowded. I was excited to find some new (new for me) wildflowers on this hike: Queen’s Crown and Alpine Spring Beauty. It was just great to spend the day with and share this experience with Zach! Afterwards, we had lunch at Alma’s Only Bar which serves up a pretty good burger. 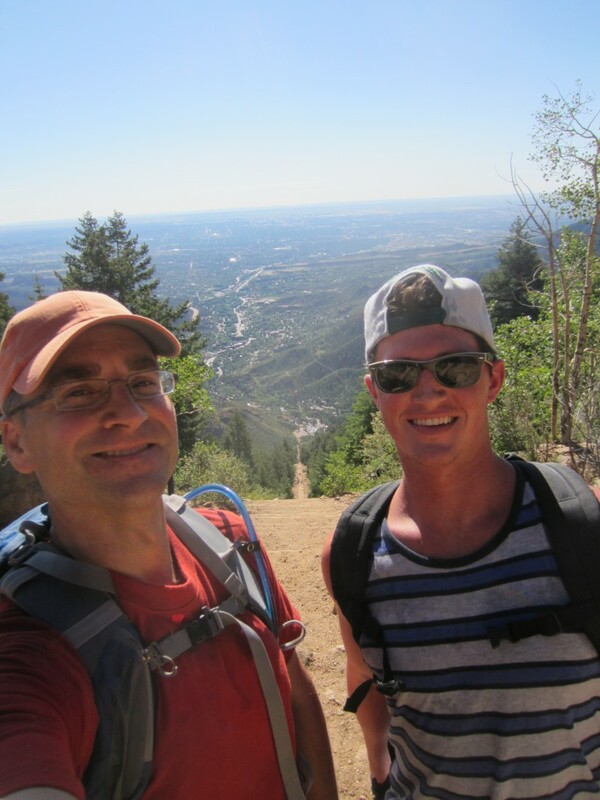 My nephew Zach visited us in Colorado Springs, and we hiked the Manitou Incline. 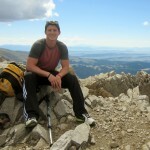 Zach is from lower altitude, Michigan, and he did great on this challenging route! The Incline relentlessly gains about 2,000 feet of altitude in a little less than 1 mile. 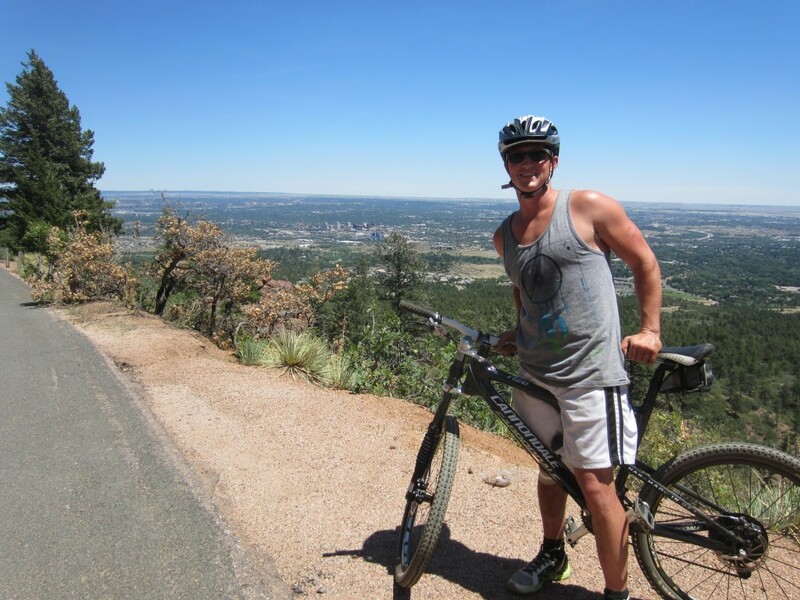 We took the normal route of the Incline up and Barr Trail down.